Just like white is not the only chicken color, neither are all chickens appropriate for the backyard or for a family with small children. Each breed has its own generalized temperament. Of course, within each breed are distinct individuals with unique personalities. While you might run into a “bad egg” every now and then (i.e. 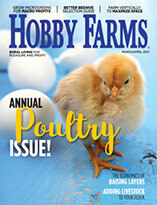 a hen with an attitude problem), these six breeds are typically great for new keepers with kids. 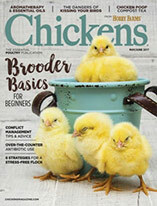 The Buff Orpington is quite possibly the most recommended breed for new chicken keepers. It’s a large, dual-purpose breed bird, meaning it can be raised for eggs and meat. “Buff” in its name refers to its feather color. The hens are prolific layers of large brown eggs. Orpingtons are very intelligent, known to be good foragers and good mothers, and are a calm, friendly and very enjoyable addition to the backyard. The Australorp hails from Australia, developed through careful breeding of Black Orpingtons that were originally imported from England. The Australorp is recognized as its own breed. Like her Orpington cousin, the Australorp is very friendly with people. She is assertive enough to lead a flock without micromanaging her flock mates of lower social status. The Australorp is a prolific, reliable layer of large brown eggs. 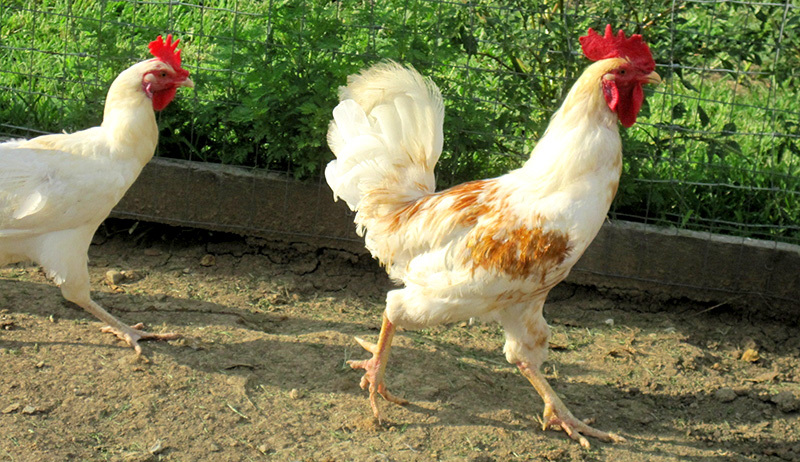 The Wyandotte is a beautiful dual-purpose chicken breed and a good egg layer. She’s calm and friendly, but in the way that she prefers to keep to herself and her flock mates. She’s a decent forager that runs a little slower due to her size. Her size also can contribute to health problems related to obesity and even bumblefoot, an infected abrasion on the foot, from landing heavier. She’s also a terrible flier, making her a good choice for a yard without a privacy fence. The Easter Egger actually a hybrid, not a true breed, but they are fun for kids because they can lay green, blue, pink, white, brown or slightly tinted eggs! Each hen doesn’t lay a rainbow, but each does have her own special egg color sure to surprise everyone the day she begins laying. The Easter Egger is a little smaller than the larger birds above, but she lays extra large eggs. She’s also very sweet and docile. Because she’s a hybrid, each of her Easter Egger friends will have different feather colors, so the kids can identify each of them easily. The Rock breed comes in many varieties, the most popular for the backyard being Barred and Partridge. This breed is very intelligent. They’re good foragers and alert to aerial predators. The hens are friendly and bold, but not overly interested in humans. 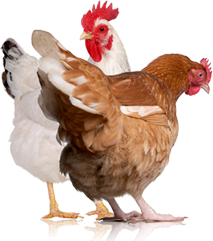 This dual-purpose breed lays large brown eggs. The Barred variety is especially popular with modern, small-scale meat producers, a revival of its early 20th-century popularity. It’s said to be a tasty bird, so it’s a great breed for those interested in raising meat chickens at home. The Sussex, whether light, red or speckled is a very friendly, happy bird. She’s a heavy, dual-purpose breed, and she was once a popular table bird like the Barred Rock. She’s a bright and confident leader within a flock, and she’s an aggressive forager, often underfoot eating pests in the garden. She’s great around kids, but she’ll chase after anyone holding food. Don’t let her see you!